The interest rate Veterans get on VA loan impacts mortgage payments so it is important to get the lowest VA rate possible. The interest rate available to you will vary according to loan product. While interest rate impacts payment and is a factor, another factor on your transaction, is professionalism and experience of the team you’ve selected to help you close. 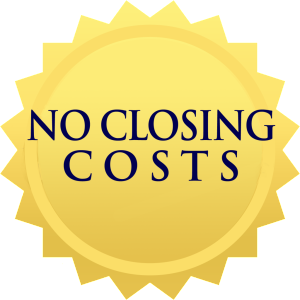 Knowing you can and will close as agreed is perhaps of equal importance. What are the current VA Rates? You may have heard interest rates for mortgages are at an all time low. This is also true for Veterans on VA loans. There is a great opportunity to buy a new home or refinance your current mortgage and save money.  VA rates on vary depending on the loan product selected. Ultimately it is best you call or complete the form to get a quick “current market” VA rate quote specific to your situation. Below find the VA loan program and the corresponding rate formula. We do our very best to repay Veterans who have served us by helping them getting the lowest rate possible. In some cases it makes sense to go for the lowest rate possible. This is done by paying for an interest rate “buy down”, also known as points. You can choose to spend more money up front on a lower rate to save in interest over the long term. Some times 1% buy down lowers your rate by .25% at other times just above or below that amount. The cost versus benefit on a buy down depends on the market costs for the rate at that time. On average the return on the investment for the lower rate comes between 7-10 years. Again, buy downs are usually used to help you obtain below market VA rates to save in the long run. What causes interest rates to go up or down? Interest rates are based on the bond yield for the mortgage back securities that day. There is usually a series of rates & corresponding price. When the price of the mortgage bond is cheap there is a lot of demand for the bond so prices can go down. Historically investors have turned to the bond market in times of trouble or uncertainty. On the other hand, when investors feel good about other avenues to invest with a greater return they tend to leave the bond market. This raises the rates and price of the bonds to attract money back into the mortgage bond market. Today we are in unprecedented circumstances. There are many unconventional forces at work in the marketplace impacting the price of these bonds and therefore making it difficult to predict which rates rates are heading. This is true for VA rates as it is with any other. Most analyst follow the trends. What will rates be tomorrow? This is the million, maybe the billion dollar question. How do I lock in my rate? To lock in your VA rate contact your loan officer and review current pricing. At that time request the rate to be locked in for a certain period. VA rate lock periods are usually 15, 30, 45, 60 days but can be more. By locking in your rate you have secured the desired interest rate. This usually means if the VA rates market improves you do not see the benefit although if there is a significant improvement you should be able to renegotiate the rate/ pricing. This option is different lender to lender. Upon requesting your rate lock your loan officer has three days to provide you an updated good faith estimate showing your interest rate as locked and the pricing. If for some reason all of the time on the lock is used up most lenders allow you to extend the rate lock but it does cost. The cost and rate lock extension policy also varies lender to lender. We usually recommend locking in your VA rate before submitting the loan to underwriting to ensure for a smooth process where you know what you will see at closing. To lock in a VA loan rate you must be an qualifying active duty military member, Veteran, or family member of an active duty military member or Veteran.